Your home is perhaps the most valuable investment you’ll make in your life. It not only provides shelter and safety for you and your family, it is an asset that properly cared for, will increase in value over the years. Unfortunately, a number of homeowners underinsure their property, or let the insurance lapse or diminish in value over time. That can be a catastrophic mistake if their house is damaged or destroyed. And that’s why it’s so important that homeowners get home insurance quotes in Connecticut. Do you know the current value of your home? Have you adequately insured your house and the contents in it? If you’re not sure – and many people aren’t – you should think about getting home insurance quotes. Here at Keating Agency Insurance, we know the critical importance of properly insuring your home – that’s why we’re ready to give you home insurance quotes from a number of different insurance companies. Because we’re an independent agency, we have over 20 home insurance companies we can get competitive home insurance quotes from. This means we can provide the best home insurance quotes and coverage options for you and your family. Best of all, we’ll provide the absolute best value and service for your unique insurance needs, along with the most competitive home insurance quotes. We know the home insurance industry inside and out. 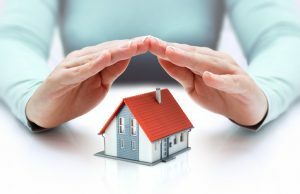 We’re in constant contact with all our home insurance company partners, so that when we recommend the best home insurance quotes for you, you can rest easy knowing that our nearly 50 years of industry expertise went into it. Our goal is to make you a lifelong client of Keating Agency Insurance which means giving you the best choices and the best home insurance quotes at the best value at all times. Please contact us today so we can get started on your personal home insurance quotes RIGHT NOW.